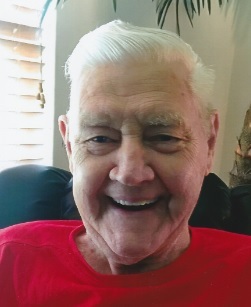 Mr. Richard Howard Brennesholtz, Sr., 86, of Morrison passed away on May 4, 2018. He was born in Passaic, New Jersey on April 18, 1932. He was preceded in death by his parents, George & Mary Kleshefski Brennesholtz; step-son, Kenneth Downs; brothers, George (Betty Ann) Brennesholtz and Edward (Dorothy) Brennesholtz; and a sister, Florence (Harry) Hladki and their daughter, Karen Hladki. He is survived by a son, Richard Brennesholtz, Jr. of Hendersonville; daughters, Joanne (Randy) Warta of Morrison and Lysa (John) Coe of Lebanon; grandchildren, Mark (Kelly) Graham, Jr. and Justin (Erika) Brennesholtz; great granddaughters, Alyssa, Avery, and Mila; niece, Peggy; and a nephew Edward. Mr. Richard loved to travel. He traveled to many locations, including a 2-week trip across 12 states to the west coast with Joanne. When he wasn't traveling he loved being at home in sunny Florida. He had a wide variety of interests. He loved to cook, make candy & fudge, make candles, doing stained glass & enjoyed dancing and the theatre. He was an avid bowler and was on a team for many years. He loved gardening. He loved life and being with his family and friends. He was a veteran of the US Air Force.